BSFF Training in Albuquerque! Now with CEs Available for Five Professions! We are delighted to announce that the next BSFF Intensive Training event will be held in Albuquerque, New Mexico over Veteran’s Day Weekend: 10-13 November, 2017. As in our last training in Phoenix in 2015, the intensive format will consist of the Two-Day Be Set Free Fast Foundation Training for Professionals (a revision of the previous “Basic-Level Training”) back-to-back with the Two-Day Be Set Free Fast Advanced Training for Practitioners (formerly “Intermediate-Level Training”). A great feature of this event is that Dr. Larry Nims has agreed to take a break from his retirement to join me as co-trainer. Larry’s enthusiasm for sharing with others this method he was inspired to create is as lively as ever, and it is always a joy to have his depth of experience and knowledge contributing to Q&A and comments enriching participants' experience. Larry isn’t sure that he’ll want to keep coming my live training events beyond this one, so this is an opportunity that may not come around again. In addition to benefitting from his presence, wisdom and wit, you will get the bonus of having BSFF’s creator sign your training certificate. We've gotten very good at fostering a very supportive environment for deeper learning: you will find many of the finer points and nuances in how to skillfully facilitate clients will become clearer when immersed in review of the material, observing demonstrations, Q&A, and experiencing, facilitating, and observing sessions with fellow participants. BSFF is the missing Owner’s Manual for the Subconscious Mind! 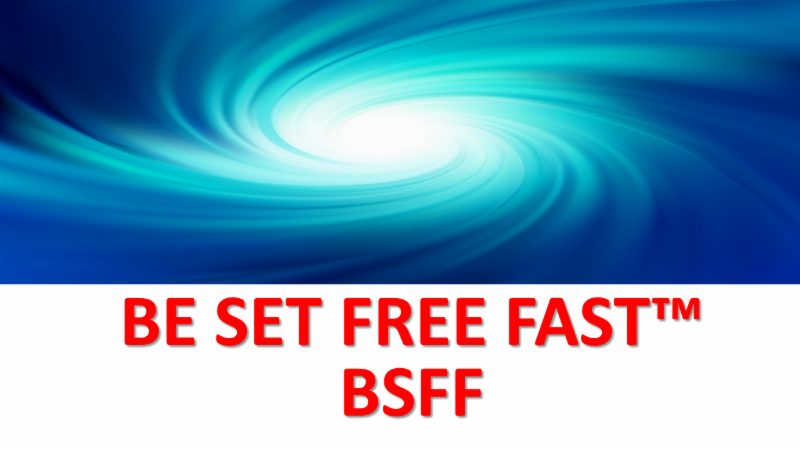 Why is Be Set Free Fast such an important method? Because we never received an Owner’s Manual for the Energized and Embodied Psyche to help us successfully navigate through the emotional challenges of life and troubleshoot problems efficiently and effectively utilizing internal resources. Our Energized and Embodied Psyche encompasses all of our human subsystems, and by learning how to enlist and leverage the faculties of the subconscious mind, we are engaging with that aspect of ourselves which automatically controls and/or mediates all of these capacities and abilities. And as you will see, this makes for rapid, elegant, and often profound shifts from emotional pain and limitation to peace and freedom! In service of our intentions, our survival, safety, security, well being, and success in life, our subconscious mind is waiting patiently for us to learn to do our part as its leader and partner in change in what can soon become a beautiful partnership! We believe BSFF is that missing Owner’s Manual that will allow you and your clients to get a better handle on living joyfully and free of so many forms of emotional and mental suffering. Join us in beautiful Albuquerque, New Mexico and experience the revolution for yourself! To learn more and register, click on this link now. A deeply nurturing environment for learning, personal healing, and growth! The atmosphere generated during these trainings is phenomenal. We have repeatedly received feedback that the energy participants feel enfolding the learning environment is extremely nourishing and inspiring compared with so many other trainings. The format of our trainings is designed to optimize learning from every angle: we combine teaching with demonstrations, Q & A, guided experiences, supervised practice, and participants sharing their experiences. We emphasize practice during the training because it is for many the only opportunity to apply and guide BSFF with the benefit of so many different perspectives, which greatly enriches the learning process. Most participants notice a major shift in their ability to benefit from BSFF by the end of day two, and an equally major shift in their ability to guide someone else in the process by the end of day four. Bond with peers in sharing those “aha” moments! A wonderful bonus of these trainings is the bonds participants end up forging with one another, which can with continued contact become a mutually supportive network of peers for years to come. Join us in gorgeous Albuquerque and learn BSFF from its creator and his lead trainer! Register now for Early Bird Pricing until 31 August! 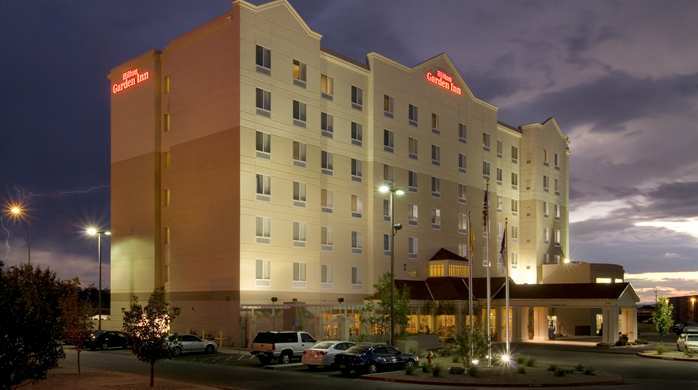 The training event will be held at the Hilton Garden Inn Albuquerque Uptown, with free wifi, and an in-house restaurant for breakfast and dinner, with the option of over 70 restaurants within walking distance. Once you have registered for the training you will be provided the booking link for the hotel. Or you can call the hotel directly at +1-505-944-0300 and let them know you will be attending the Be Set Free Fast training to get the special low price of $91 a night. First come, first served! They have limited number of rooms they will be able to offer at this price beyond our contract minimum of 15, so lock yours in before they run out! You will be able to book up to 3 days before and after the training at this price, in case you wish to enjoy some vacation time in the area. ***Also, there are several Hiltons in Albuquerque, so please don't make the mistake of booking at the wrong hotel, as it will increase your cost and inconvenience to have to get to the training from elsewhere in the city! Taking advantage of the Early Bird Price does three things: It helps to ensure the training will have enough participants to take place (we need a certain number of registrations to make the training financially feasible); it locks you in at the best price for the training, and you can book your room early the special discounted price of $91 a night! Take a ride on the Sandia Peak Tramway, a 2.7 mile tram ride up into the mountains for spectacular views: It stretches from the northeast edge of the city to the crestline of the Sandia Mountains and has the world's third longest single span. Visit the Indian Pueblo Cultural Center, owned and operated by the 19 Indian Pueblos of New Mexico and dedicated to the preservation and perpetuation of Pueblo Indian Culture, History and Art. Stop by The New Mexico Museum of Natural History and Science. The Museum's permanent exhibit halls illustrate a journey through time, covering the birth of the Universe (≈13.6 billion years ago) to the Ice Age (≈10,000 years ago). See the Petroglyph National Monument with its variety of cultural and natural resources including five volcanic cones, hundreds of archeological sites and an estimated 24,000 images carved by Ancestral Pueblo peoples and early Spanish settlers. You can also visit Albuquerque's historic and beautiful neighboring city Santa Fe, only an hour away by car. But for sure the big attraction will be this incredible learning and healing experience with Be Set Free Fast! We are truly excited to share this revolutionary method with you in a way that will open your mind to the amazing capacities of our God-given inner resources. And just to sweeten the deal, we worked hard to create a couple of neat incentives for you despite rising overhead costs: We managed to maintain the same price for the 4-day intensive, and have only increased the cost of the 2-day events by about $25. We found a better hotel deal: only $91 a night (before taxes; additional $10 per extra person per room) compared with $99 in 2015. And for your convenience and comfort, this year we are including catered lunch and coffee/tea throughout each day of training! We eagerly look forward to seeing you in Albuquerque! Click here for details and registration information. CES, provider #1117, is approved as a Provider for Social Work Continuing Education by the Association of Social Work Boards (ASWB) www.aswb.org, through the Approved Continuing Education (ACE) program. CES maintains responsibility for the program. ASWB Approval Period: 10/5/15 through 10/5/18. Social Workers should contact their regulatory board to determine course approval. Social Workers participating in each course will receive 12.0 clinical continuing education clock hours. Commonwealth Educational Seminars (CES) is entitled to grant continuing education credit for LCPCs/LMHCs in the following states: AZ, AR, CA, CO, CT, DE, DC, FL, GA, HI, ID, IL, IN, IA, KS, KY, ME, MA, MO, NE, NH, NJ, NM, NC, OR, PA, RI, SC, SD, TN, TX, UT, VT, VA, WA, WI, WY. CES maintains responsibility for this program. LCPCs/LMHCs completing each program will receive 12.0 continuing education hours of credit. Commonwealth Educational Seminars (CES) is approved by the American Psychological Association (APA) to offer continuing education credit programs. 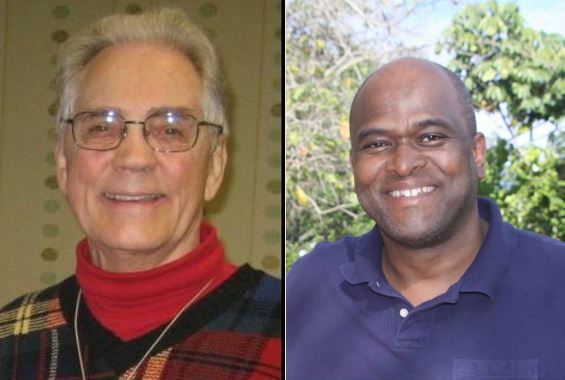 CES maintains responsibility for this program and its content. Psychologists receive 12.0 hours of continuing education credit upon completing each program. Continuing education credit for Marriage & Family Therapists is awarded in the following states: AL, AR, AZ, CA, CO, CT, DC, DE, FL, GA, HI, ID, IN, IA, KS, ME, MD, MO, MT, NE, NH, NJ, NM, NC, OR, PA, RI, SC, SD, TN, TX, UT, VT, VA, WA, WI, WY. CES maintains responsibility for this program. Marriage and Family therapists completing each program will receive 12.0 CE hours credit. As an American Psychological Association approved provider CES programs are accepted by the American Nurses Credentialing Center (ANCC). Every state Board of Nursing accepts ANCC approved programs except California and Iowa, however CES is also an approved Continuing Education provider by the California Board of Registered Nursing, (Provider Number CEP15567) which is also accepted by the Iowa Board of Nursing. Nurses completing each program receive 12.0 CE hours of credit.